Unlike most people, my New Year Resolution is not to make a “health” related resolution…not to drink wines, not to eat red meat, not to eat carbs are simply off-limit to me. However, I do want to detox after an intense two months of eating and drinking during the holidays. 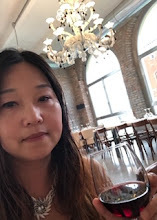 So in January, I’m going to detox…no drug or cleanse involved, but with organic or biodynamic wines whenever I could land one and with lighter Cantonese flair. Come across Gwendolyn Lawrence Alley’s #Winophiles “French Winophiles Go Biodynamic” blog invite. Awesome! Let’s join the Twitter Chat, learn biodynamics and start blogging. The last-minute hunt for a bottle of biodynamic French wine in my go-to wine store, Wegman didn’t land me any French organic or biodynamic wines. The store clerk, instead, sold me organic or biodynamic wine from Italy, California and Spain. Well, a tiny store called Wine Academy which seems to charge $5 more for every wine, from my past experience, crossed my mind. Desperate times calls for desperate measures! Let’s give it a try! 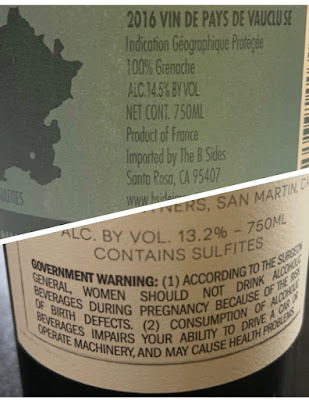 Well, it was a good move as I snatched the second last bottle of the 2016 Domaine De La Damase Vin De Pays De Vauclause Grenache (referred as Organic French Grenache in this article 😊) on the “organic” shelf. When I look at the bottle of this French Grenache, there is no “organic” or “agriculture biologique” on the label. How do I know this is organic, other than the clerk told me that it is so? With a little bit of research online, this Organic French Grenache is produced by the Latour family which has been making wines since 1872 in Domaine de la Damase in Violes, a small village in the Côtes du Rhône region. Madam Bernadette Latour, who still lives in the house beside the Domain, is the official owner of this vineyard and her name is on the label. The Domaine de la Damase vineyards have been converted to organic farming (i.e., agriculture biologique) since 2011. From the wine perspective, what is the difference between biodynamic and organic and sustainability? Dr Vinny from Wine Spectator does have definitions to differentiate these terms. So to take the biodynamic/organic practice to the next level, farms and vineyards will need to be certified by a member of the Demeter International such as Demeter USA and Demeter France. Certifying computer systems as my day job, I know for a fact that attaining the Demeter certification will not be an easy task...many checkpoints and rules… But the outcome of these conscientious farming practices, no doubt, is good for the environment, consumers’ health, and most importantly, the quality of wines! My Organic French Grenache has the deep crimson color that is the typical color of Grenache wines. On the nose, it smells like a forest with wild earthy and leafy air. 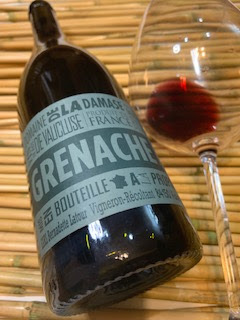 After a swirl and a few sips, the palate of this Organic French Grenache is light to medium tannin, blackberry and fig, and has very little structure. The finish has lingering notes of violet, light cracked pepper, and light leather. With 100% Grenache and ZERO SULFITES, it’s “natural” enough for my detox experiments. First, I would eat clean and pair it with lighter Cantonese dishes. Second, I want to find out if I would get a headache which may have been induced by sulfites, after drinking this wine! Anyone can prepare clean-eat in Cantonese style. Stir- and pan-frying in a non-stick pan are the techniques to use to reduce oil. AA Choy, mostly sold in Asian grocery store, is the leafy portion of celtuce or wo shun. A common Chinese leafy green, it looks like romaine lettuce, but has a rich taste of wheat. 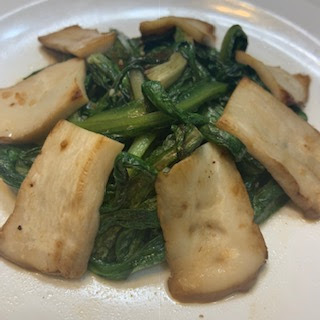 A quick stir-fry of AA Choy and some Korean oyster mushroom slices with garlic, salt and white pepper, dashes of sesame oil is the first course of these clean dishes. Egg omelets of all kinds are an integral part of Cantonese menu. To stay true to the theme of lighter flare, I made seafood egg omelets with HACCP compliant Seafood Marinara Mix. So, what is HACCP? This is another acronym that seafood lovers should know in addition to “Wild Caught”. HACCP is Hazard Analysis & Critical Control Point, which refers to procedures that are put in place to ensure the safe production of food. HACCP compliant is usually a cheaper and second-best alternative to wild caught seafood. 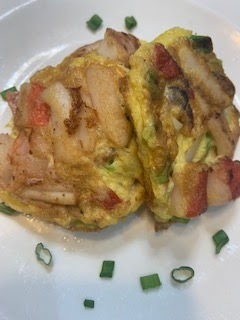 Let me share the simple steps in making this seafood egg omelets. 1. Defrost and rinse frozen seafood mix. Dry it on paper towel. 2. Whisk the eggs in a mixing bowl and add the chopped scallion, salt and white pepper in the egg batter. 3. Pan-fry seafood mix with olive oil and remove it from the pan when done. 4. Scoop ¼ cup of egg batter to the pan and add seafood mix atop the egg. Pan-fry both sides until it turns golden brown. Make multiple pancake-size egg omelets. 5. Dash sesame oil on the egg omelets. I’m not a white meat person when talking about chicken. 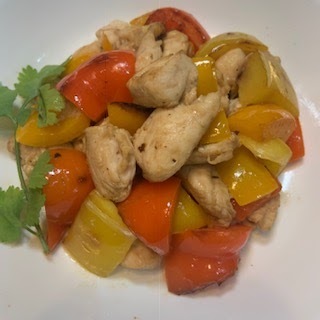 However, chicken breast no doubt is the leanest and healthiest part of the chicken and organic chicken breast cutlet, cut in chunks, is perfect for stir-frying with nutrient-rich colored peppers. One thing to make this dish successful is to marinate the chicken chunks with soya sauce, rice wine, white pepper, a bit sugar and cornstarch at least ½ hour before cooking. This pairing experiment comes to a successful end. 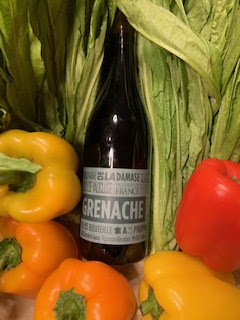 Taste-wise, this Organic French Grenache pairs well with the AA Choy, seafood egg omelets and stir-fried chicken breasts with peppers with its big fruit flavor plus earthy and mineral notes. 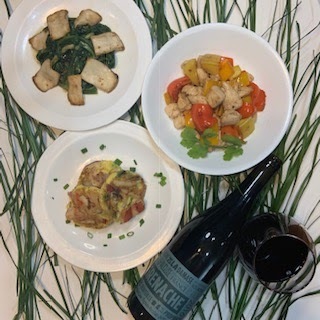 Best of all, I felt “refreshed” with these healthier Cantonese dishes and enjoyed dearly with the easy-drinking Grenache. The biggest bonus is no headache the next day…is this because of the absence of sulfites in the wine? Is this the benefit of drinking an organic wine? 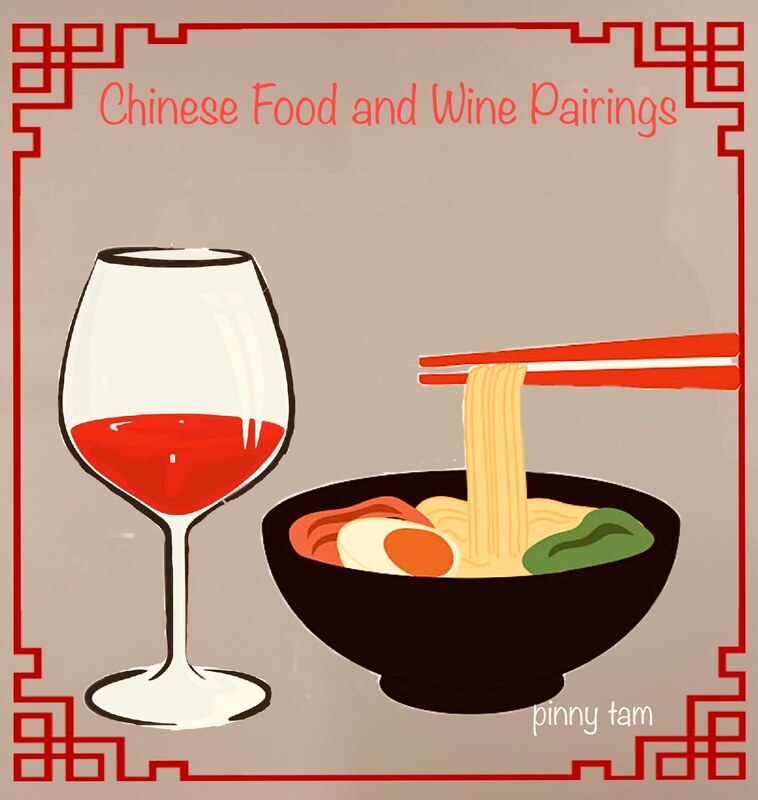 Pinny from Chinese Food and Wine Pairings shares "Detox with Organic French Wine and Cantonese Light Flair"
I love these pairings! I will be looking for AA Choy. That with the mushrooms looks delicious. I had trouble finding biodynamic French wine also. I hope that with the French #Winophiles asking for these wines, and all the recent press on the subject, that more and more consumers will be searching for these wines, causing more wine shops to carry them! Thanks for reading my post! Yes, the higher the demand, the distributors are willing to carry these wines! These pairings look delicious! I'm particularly drawn in by the egg and seafood omelette! And you're right that the various terms can be confusing. Sometimes it is best (as you did) to ask the salesperson for help. The egg and seafood omelet is my favorite. It's quick to cook and healthy...you can eat it as breakfast, lunch and dinner. Most of the wine stores from my experience organize their wines by regions or nations. Biodynamic wines are hot right now so there is a shelf for them if they carry them..but I still can't seem to find the 'Demeter Certified' labelled wine for the April topic.